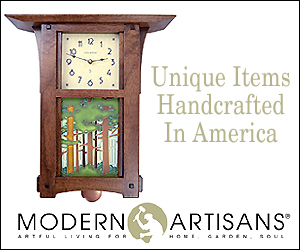 Memes can be a great – and often funny – way to express the essential truths and frustrations of life, living, and maintaining the family home. We have collected some of our favorite memes from across the World Wide Web, including a few we have created for our own readers based on our own experiences. It is the rare individual who actually enjoys housework. Sure, we may all enjoy the results of housework, that rare period when the house would be presentable should unexpected guests drop by, but very few of us actually enjoy the manual labor involved in achieving that result. To celebrate our love to hate housework, I have collected just a few Memes that reflect what it’s like to try to maintain a clean home. Those dang birds and mice don’t help out AT ALL!! I don’t care about Disney lying about my Prince Charming. 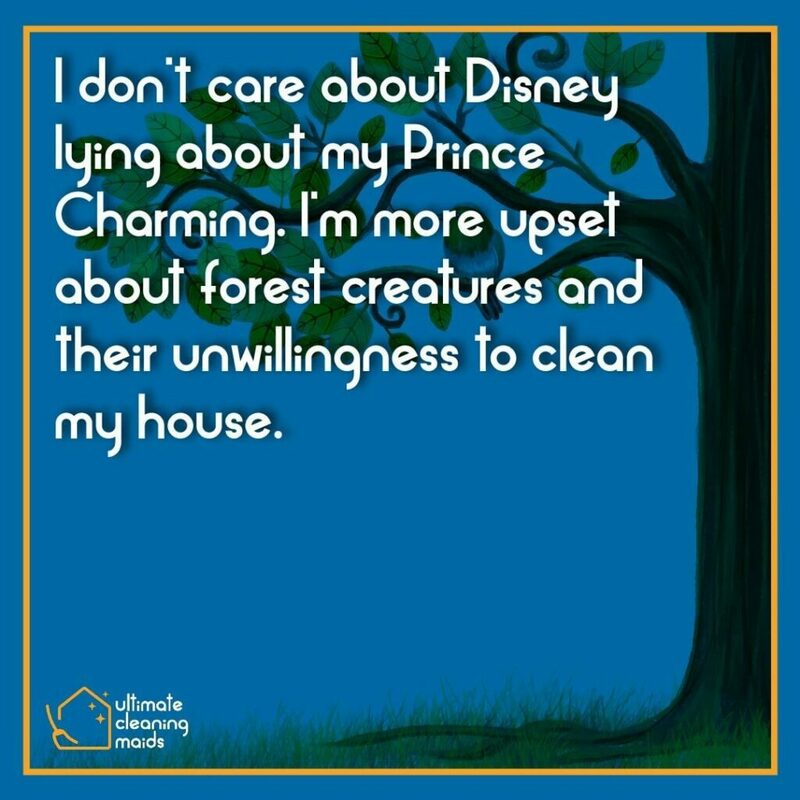 I’m more upset about forest creatures and their unwillingness to clean my house. Great Advertising, Bad Life Goals! 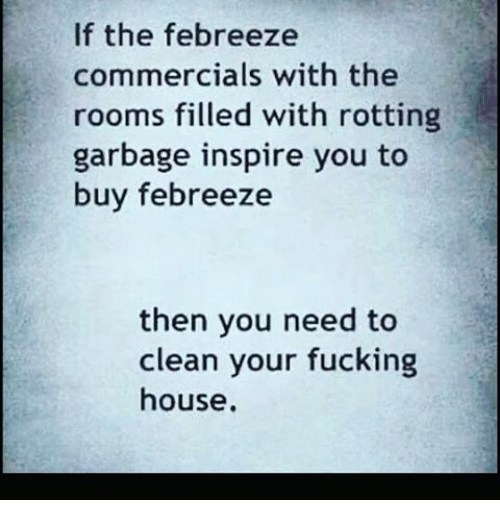 If the febreeze commercials with the rooms filled with rotting garbage inspire you to buy febreeze… then you need to clean your f*@&ing house. 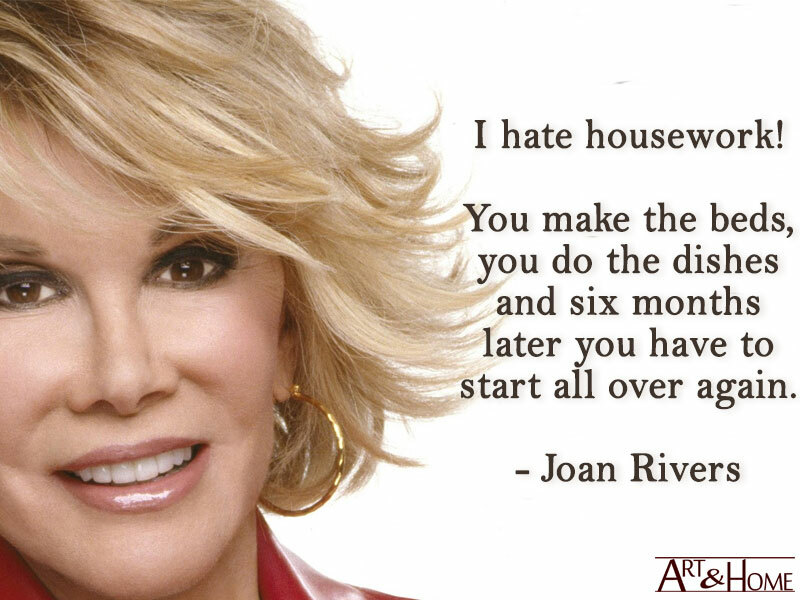 Joan Rivers knew a thing or two about life, and Housework! 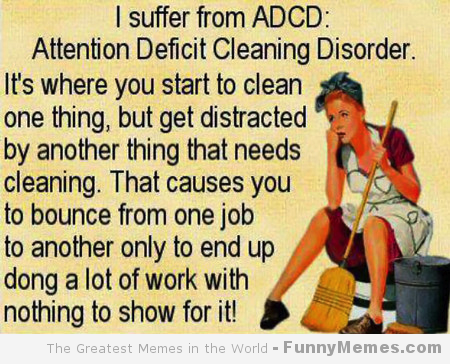 I suffer for ADCD: Attention Deficit Cleaning Disorder. 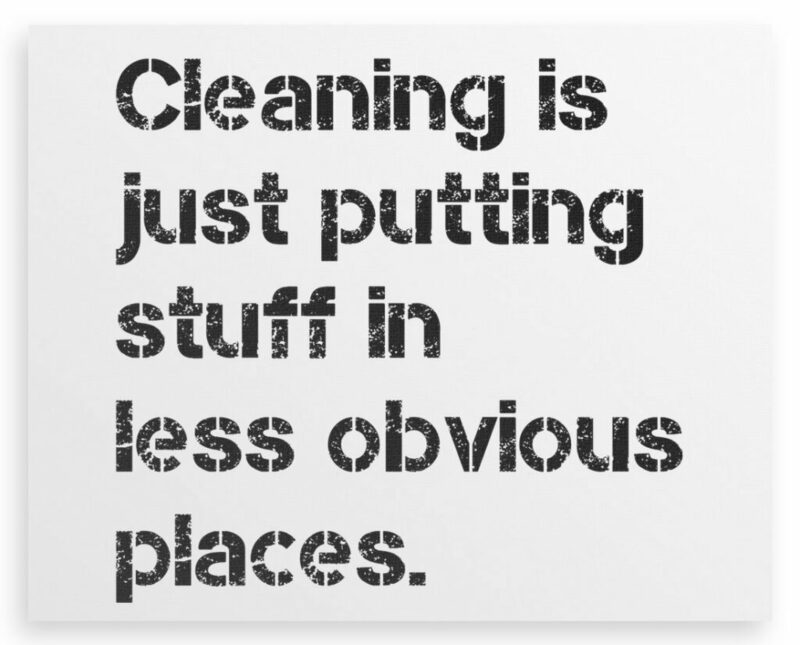 It’s where you start to clean one thing, but get distracted by another thing that needs cleaning. That causes you to bounce from one job to another only to end up doing a lot of work with nothing to show for it! 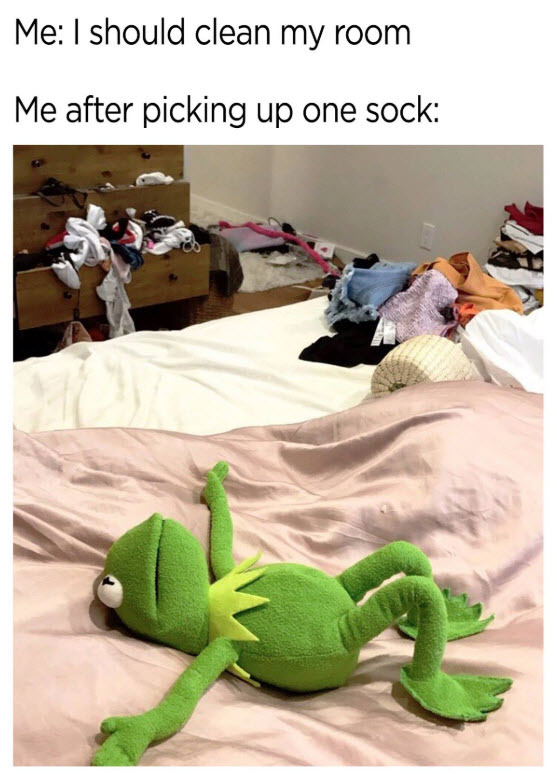 Also me: Exhausted after picking up one sock.